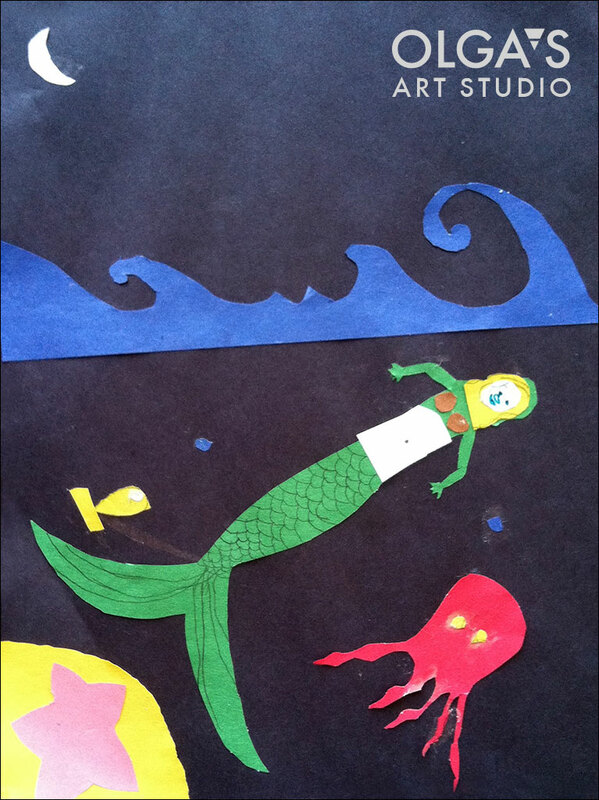 “Mermaid” paper collage by Annabelle. Annabelle shows clear understanding of composition and intuitively takes full advantage of complementary color pairs. This entry was posted in Uncategorized and tagged children's artwork, paper collage on May 1, 2015 by Olga Rogachevskaya-Chu.